#1 Cochran Chrysler Dodge Jeep Ram features the latest manufacturer offers and incentives on all new Chrysler, Dodge, Jeep, and RAM vehicles. Discover which offers are best for you and drive off in a new car today. At #1 Cochran Chrysler Dodge Jeep Ram, we wholeheartedly care about every single customer that walks through our doors. Whether you’re visiting us to buy a new Jeep, lease a new Chrysler, service your Ram pickup, browse our Dodge parts department, it doesn’t matter! We’re here for you no matter what. As a proud member of the #1 Cochran Automotive group, our breadth of offerings and attention to detail helps us provide a car-shopping or -servicing experience that you can trust. We are an award-winning, homegrown dealership in Natrona Heights, PA, that specializes in everything Jeep, Ram, Dodge and Chrysler. Exploring other PA car dealerships? 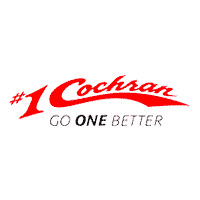 Go One Better with #1 Cochran Chrysler Dodge Jeep Ram! If you’re looking for a new Ram, Jeep, Chrysler or Dodge vehicle in Natrona Heights, PA, or anywhere else in the Greater Pennsylvania area, come to #1 Cochran Chrysler Dodge Jeep Ram. We’ll help you find exactly what you’re looking for, from well-equipped Jeep Cherokee SUVs to powerful Ram 1500 trucks for sale. And if you’re shopping for a new Ram or Jeep on a budget, know that we offer an exceptional selection of used Dodge, Ram, Chrysler and Jeep vehicles, as well as pre-owned models from other makes. And when you’re ready to buy a used Ram or lease a new Dodge, our Jeep financing team is at the ready to help you with all your Chrysler lease and auto loan options. Our Natrona Heights Jeep dealer doesn’t stop at car sales, as we also offer certified Ram service and OEM Dodge parts for getting you back on the road faster. Whether you originally bought a vehicle from us or not, let #1 Cochran Chrysler Dodge Jeep Ram be your source for all your Jeep maintenance, Ram repairs and Chrysler parts sales. #1 Cochran Chrysler Dodge Jeep Ram is conveniently located at 110 Route 908 in Natrona Heights, PA, and we’re easily accessible from surrounding cities like Pittsburgh, Penn Hills and New Kensington. Stop by our hometown dealership and how we Go One Better over other Pennsylvania Jeep and Ram dealers.